This school, adjacent to the Methodist English Church, is one of the most prestigious institutions of secondary education in the country. 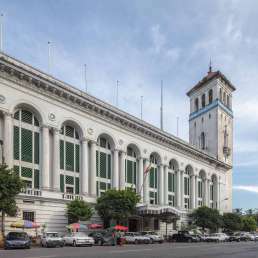 Its alumni include many major figures in Myanmar’s history. The most famous one, of course, is Nobel Peace Prize laureate Aung San Suu Kyi, who attended the school in the 1950s until 1960 when her mother was appointed Burmese ambassador in New Delhi. The main three-storey school building is set back from Alan Pya Pagoda Road. Access through its main entrance can prove difficult: school buildings are generally and understandably off limits to visitors in Myanmar. The site is densely built-up, with several other building wings providing space for the pupils. A large open ground at the rear of the school is variously used for parking cars, and as a sports ground. 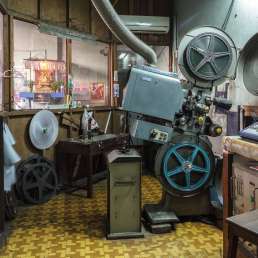 The building’s post-war appearance belies its age and importance. The history of Dagon’s BEHS 1 goes back more than 100 years, to 1881. 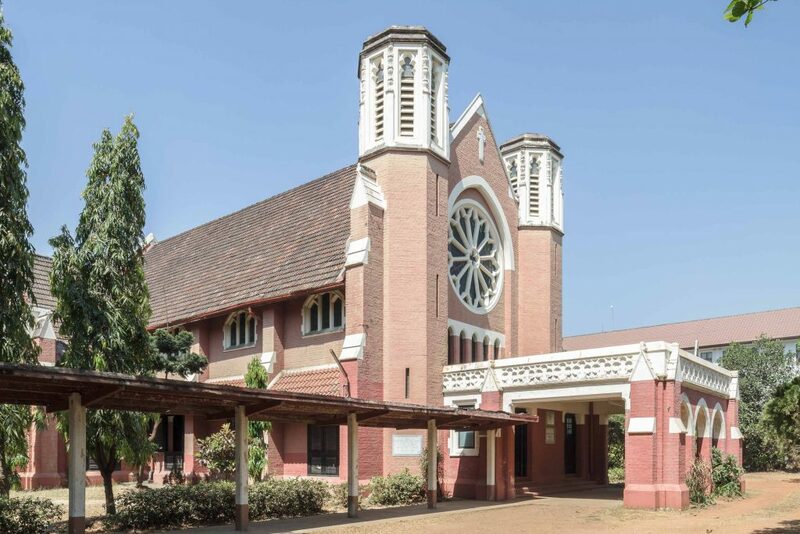 The Methodist Women’s Foreign Missionary Society was granted land and funds by the government of British India to build a girls’ school. The location of the school was in the downtown area, in today’s Seikkantha Street. Methodist education at the time was strictly along “national” lines with separate English, Chinese and Burmese schools. The school was successful and attracted a steady stream of pupils. By 1894, it was “full to overflowing”, a problem that was partially addressed—in good colonial fashion—by shortly displacing the Burmese Girls’ School. Space remained an issue and by 1924, the school gladly accepted the government’s offer of 300,000 rupees for the land, having been gifted it some 40 years earlier. 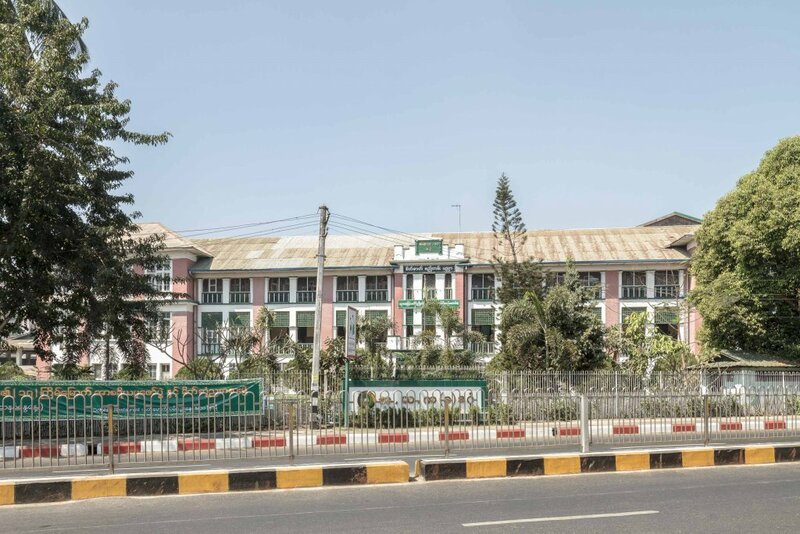 The school immediately invested the money into a new, bigger school on the current site, on the corner of Alan Pya Pagoda and Nawaday Roads. It already owned the land. The school reopened in 1947. The few students who returned received their lessons inside the church. A new main building was built under the direction of Methodist missionary Frank Manton and former principal Doreen Logie. Using 1 million US dollars from their “Crusade Fund”, the Methodists completed the new, and current, main building by 1949. 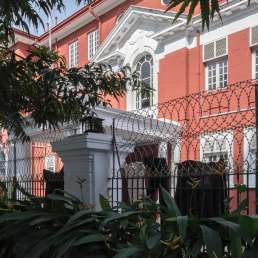 With a prime location opposite the British Embassy residence, this was the school of choice for Rangoon’s westernised intellectual and social elite. When young Aung San Suu Kyi entered MEHS in the 1950s, her father’s fame barely conferred her special status, as Peter Popham notes in his biography of the Burmese democracy icon. 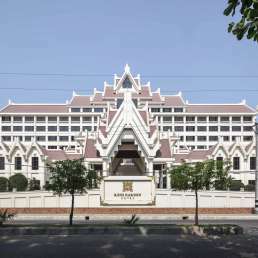 As one alumnus told him, “the children of three out of four of our presidents, of Prime Minister U Nu, of many branches of the royal family, of most politicians, of diplomats before there was an international school, and of old money Rangoon aristocracy—they all went to [the] school”. 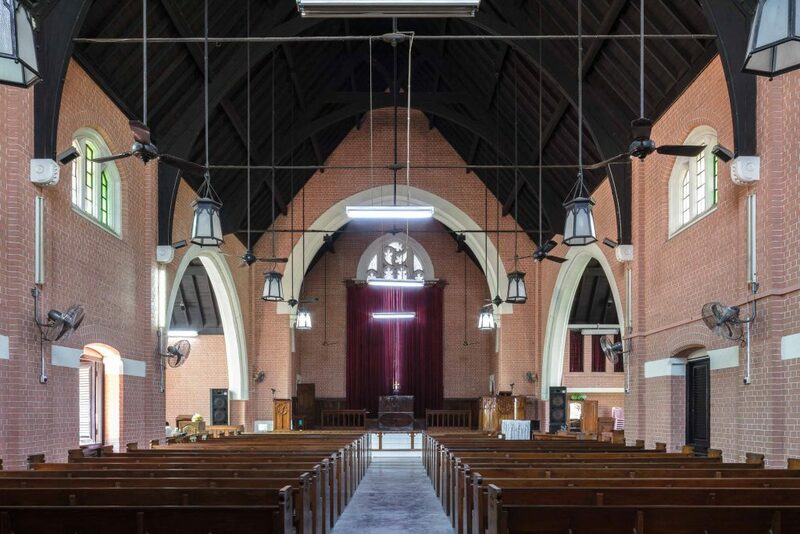 By this time, and as the only missionary school in Rangoon, MEHS was already co-ed. 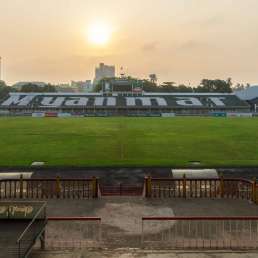 This meant, as the same ex-pupil told Popham, that “our parents were the most progressive, liberal-minded and westernised in Rangoon”. This came at a price—MEHS was a very expensive school, with a tennis court and all the modern amenities. After Ne Win’s nationalisation campaign, the school received its current name in 1965. It retained its reputation as one of the country’s elite institutions. A new three-storey building facing Nawaday Road was added in 1986. Today the school has more than 6,000 pupils, making it one of the biggest in Myanmar. Its alumni are scattered around the world and hold regular reunions.